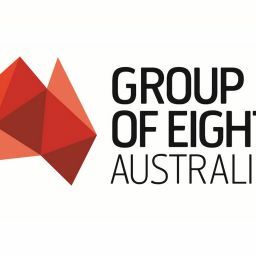 Australian universities’ reliance on international students to fund basic teaching and research activities leaves the higher education sector financially vulnerable to any unforeseeable jolts in the market, Peter Hoj, chairman of the Group of Eight says. Proposed government funding cuts of $2.8 billion would exacerbate an already risky situation pushing the ongoing privatisation by stealth of the public university sector, Professor Hoj told the National Press Club yesterday. 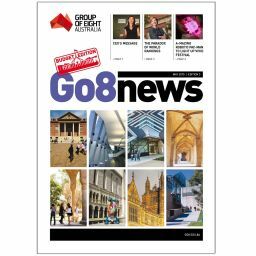 Professor Hoj used his speech to condemn the federal government’s higher education reforms, saying it undermined the Gonski school program by not delivering on quality post-school education. Simon Birmingham’s reforms have also prescribed tuition fee hikes with the additional revenue flowing to government, not universities, and require students to repay their loans earlier and faster. Other proposed changes would add new layers of red tape in university administration with little to show for it. Professor Hoj said government funding of public higher education institutions had fallen from 80 per cent in 1987 to less than 40 per cent today. At the same time, Australian students paid among the highest contributions in the OECD, while the government’s was the second lowest. “The most brutal cuts by a federal government in more than 20 years will inevitably leave universities with reduced agency over their own business models,” Professor Hoj said. However, Senator Birmingham lashed out on Sky News saying “there have been rivers of gold flowing into higher education over the past few years”. He said the uncapping of undergraduate places had seen a 71 per cent growth in funding since 2012. He also predicted a 23 per cent increase in funding to the sector over the next four years, although this claim has been rebutted by vice-chancellors who say it includes student loans, most of which will be repaid. However, a recent Queensland Auditor-General’s report found university surpluses had decreased by more than 40 per cent in 2016. It also found the University of Queensland, where Professor Hoj is vice-chancellor, had an operating deficit of $15 million. “Overall, surpluses across the sector have decreased in recent years. This trend needs to be closely monitored,” the Auditor-General concluded. Professor Hoj said it had become increasingly obvious that it was not possible to run a fully comprehensive research intensive university on current government funding.